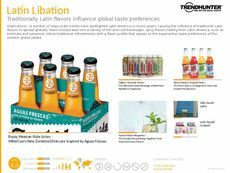 Find Better Ideas, Faster ® with a custom experiential cusine trend report, our PRO Dashboard and 80+ categories of premium trend reports. 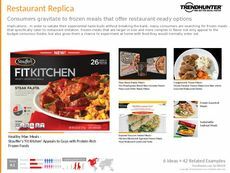 As the restaurant experience continues to evolve, Trend Hunter has identified countless trends in the Experiential Cuisine Trend Report. 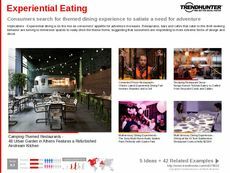 This report will showcase some of the world's most innovative restaurants where the experience of food is taken to the next level with examples of themed-restaurants and sensory-altering eateries. Rather than a simple sit-down restaurant, these examples engage patrons in ways that appeal to more than just their taste buds. 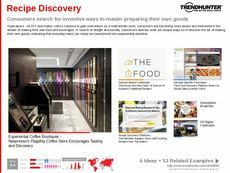 The Experiential Cuisine Trend Report will be a great resource for those working in the food and beverage industry. As patterns in experiential dining continue to evolve, restauranteurs, marketers and advertisers can use this report to gain insight into this shift towards sensory dining. Featuring the latest trends in experiential cuisine, this report will provide insight into how some of the world's most successful experience-based eateries are changing the restaurant industry.